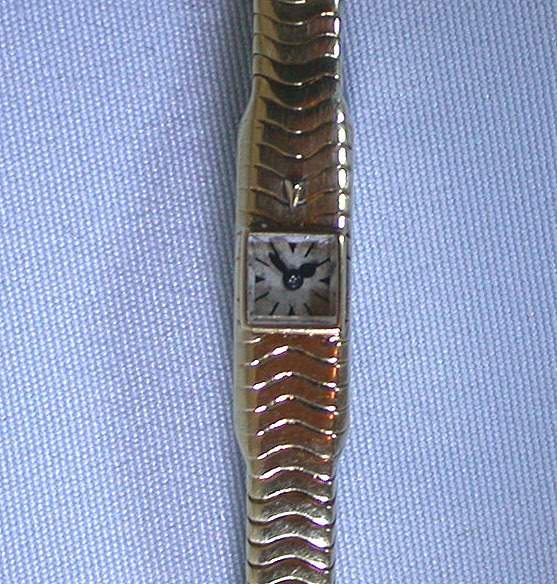 Fine and scarce tiny ladies Jaeger LeCoultre 18K gold bracelet watch circa 1945. Original silver dial with black numerals and blued steel hands. Calibre 101 nickel 15 jewel 3 adjustment backwind movement with platinum timing screws. 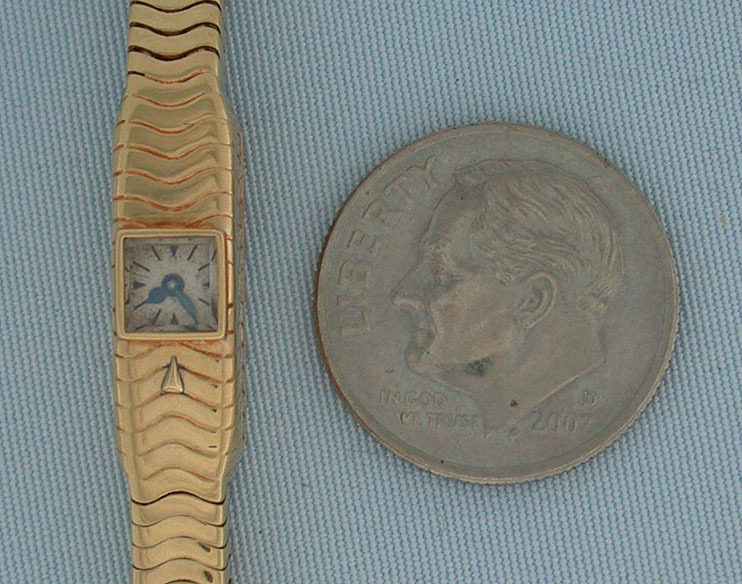 This is the smallest production wrist watch. 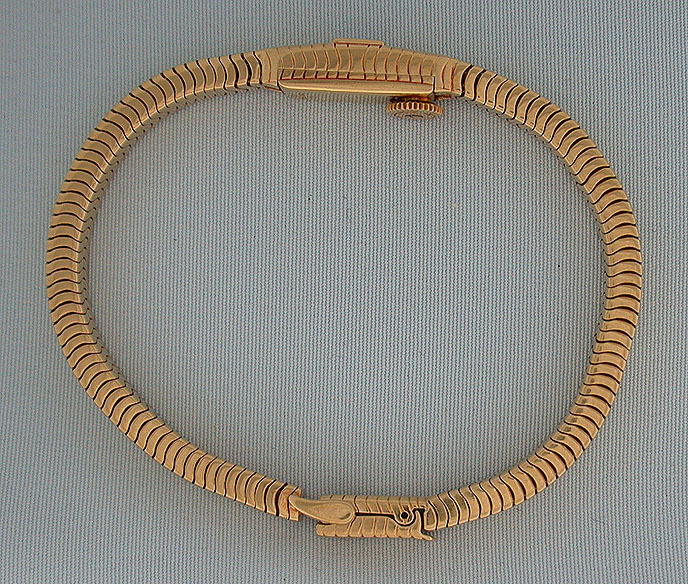 Overall length 6.63 inches. Elegant.